Donald Trump and Ted Cruz will play nice at the CNN debate. 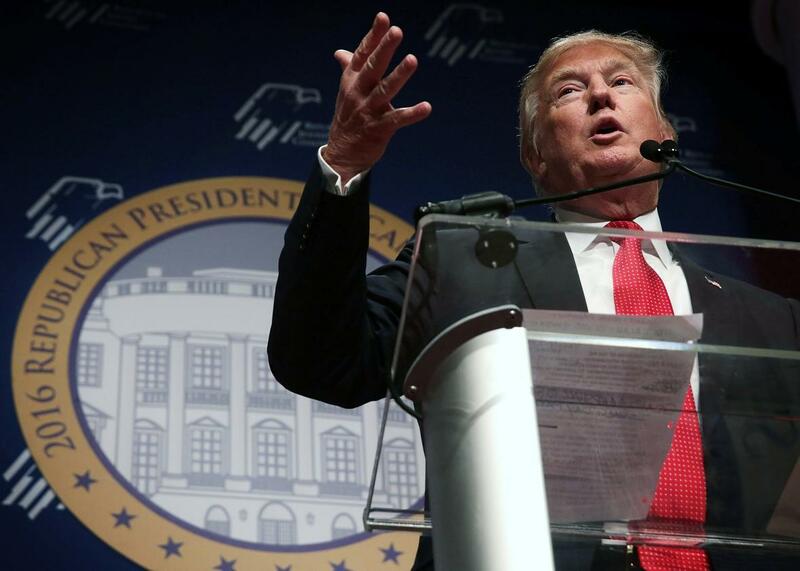 Donald Trump addresses the Republican Jewish Coalition at the Ronald Reagan Building and International Trade Center Dec. 3, 2015, in Washington, D.C. The unofficial alliance between Ted Cruz and Donald Trump appears to be over. As I explained last week, Cruz had been playing the long game with Trump since the real estate tycoon jumped into the race this summer. He traveled to Trump Tower to pay his respects in July, invited the Donald to his anti-Iran deal rally in September, and suggested this month he’d want Trump working in his administration. The Texas senator even broke from the rest of his party over Trump’s no-Muslims-allowed proposal, offering the most tepid rebuke of the 2016 field. “I disagree with that proposal,” Cruz told reporters. “I like Donald Trump.” Cruz’s hope is that when Trump fades, he’ll be the most obvious fall-back plan for Donald’s supporters—while looking ever-so-slightly more electable to the GOP establishment. That plan, which Cruz himself articulated on the fundraiser recording, has so far played out about as well as Cruz could have hoped, with Cruz now challenging Trump in his beloved polls and emerging as the Evangelical favorite in Iowa, which will hold the nation’s first nominating contest in just seven weeks. The largely one-sided spat sets up the possibility that Trump and Cruz tangle during Tuesday’s Republican debate in Las Vegas. Recent history, though, suggests the prospect of such a clash is unlikely. Time and time again this year, political watchers (myself very much included) have predicted that Trump would use the prime-time spotlight to tangle with his latest challenger du jour—be it Jeb Bush this summer, or Carson this fall—only to watch Trump largely play it safe on the debate stage. When Trump does end up locked in battle, it tends to be when someone else forces the issue, like Fox News did in the first debate or Carly Fiorina did in the second. That, however, appears to be the last thing Cruz wants.